Hello all and welcome to Neat & Tangled Release Week. 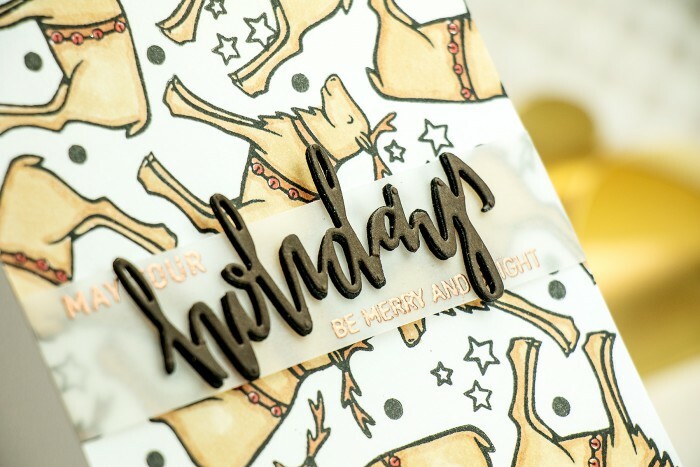 Today is the last day, Day 4, and we are introducing a Happy Holidays stamp sets and a set of dies, as well as a fun Tag die. I’m using Happy Holidays set for the project I’m sharing today as well as images from the Santa’s Ride stamp set. 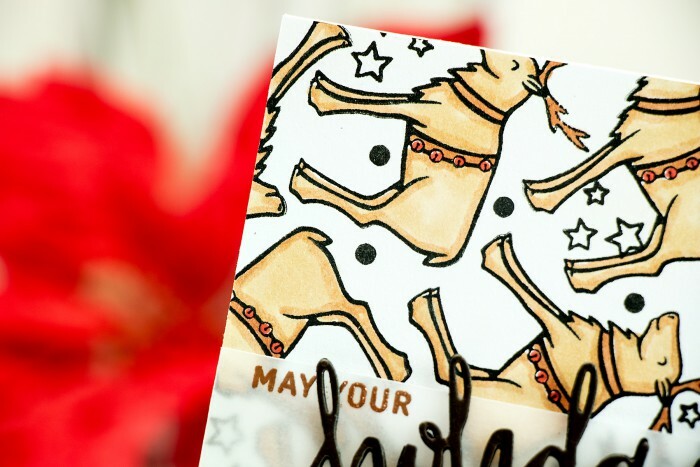 I started working on this card by stamping deer images from the Santa’s Ride stamp set. I created a fun holiday pattern for this card, colored images with copic markers and started working on the sentiment. I die cut the word holiday out of brown cardstock and black fun foam, adhered the two together and onto a strip of vellum using Scrapbook Adhesive’s Adhesive sheets, heat embossed “May Your” and “Be Merry and Bright” using Brass embossing powder and wrapped the vellum strip around the stamped panel. The panel was than adhered onto an A2 top folding card base. 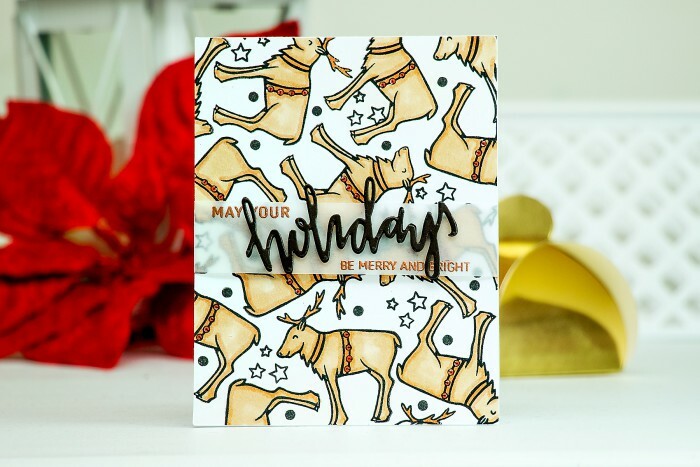 Love the repeated stamping…fun card! LOVE your DEAR deer background and pretty sentiment panel, a FABULOUS design!!! That background paper you created is fantastic! great card!!! Creative background as usual Yana. Thanks. Love your background design cards, lovely as ever!! Yana what a cute card. I love how the reindeer make your background. A great idea, indeed. Wow! Love it! Great background and the black sentiment on vellum looks awesome!